Leo studied advertising and graphic design and worked for many years as an illustrator. He made his debut as a picture book author in 2000 with Happy with me and was awarded with a Bookfeather (most promising picture book debut) the same year. From then on Leo wrote most of his books himself. 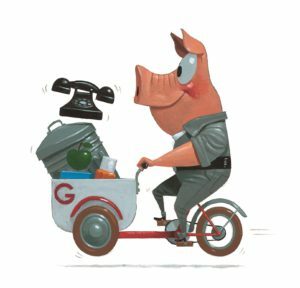 Gus’s Garage was awarded the 2017 Children’s and Youth Jury Award, a price Leo won seven times, and his book Bang was awarded the prestigious Bookpeacock Award (Best illustrated book of the year). A Home for Harry will be the Picture Book of the Year 2019 in the Netherlands. His books have been translated in more than 25 languages. Leo Timmers is also involved in animation projects. He created the TV- series Ziggy & the Zootram, and he is currently working on the TV-adaptation of his picture book Deep-sea Doctor Derek. Leo lives with his wife and two daughters in Brussels. Nelleke Verhoeff is an artist / illustrator based in Rotterdam in the Netherlands. She started her professional career as a theater-performer and made physical and visual theater using circus techniques and masks. 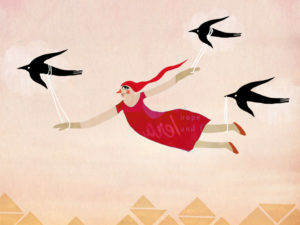 Nelleke then discovered her love for drawing, painting and digital art. She is mostly inspired by people and loves to watch their attitudes and facial expressions. She has illustrated several books. In 2018 she made her first children’s picturebook. 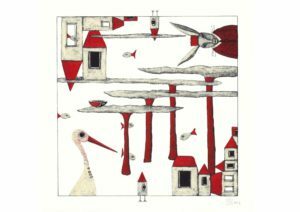 Nelleke’s work was selected for Illustrarte 2016 exhibition in Portugal. She won the Worldwide Picturebook Illustration Competition 2017 ‘Picture This’ and was one of the finalists in the Silent Book Contest 2018 including an exhibition at the Bologna Children’s Book Fair. Hanneke Siemensma studied Dutch Literature in Amsterdam and Fine Arts at the Royal Academy of Art in the Hague. She is addicted to the smell and feel of paint, brushes, charcoal and paper, and has a weakness for patterns and old photos. 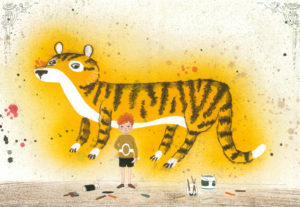 Hanneke works as an independent illustrator and editor. 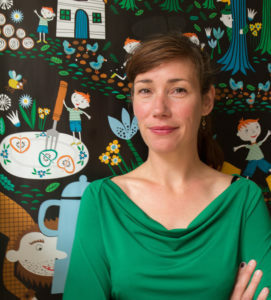 Caroline Ellerbeck (born 1975) is an illustrator who makes enchanting children’s books, which she publishes herself. She is motivated by the enjoyment of drawing itself, bringing to life something that did not previously exist. Colourful little universes full of funny characters, irresistible to both children and adults. And that’s exactly the intention! Caroline lives in Rotterdam. Sanne te Loo studied at the Academy of Visual Arts in Breda and has worked as an illustrator ever since. 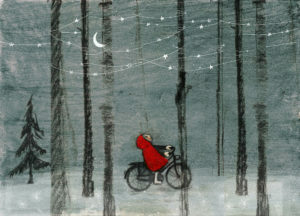 She writes and illustrates her own picture books and she also collaborates with various writers. Her books were published in the Netherlands, Germany and the USA.